The bankruptcy laws changed on October 17, 2005 with the requirement of the analysis under new "means test" requirement. The bankruptcy means test requirement is really a fancy term for saying if you make too much money you cannot simply wipe out your debt in a chapter 7 and may have to pay back a percentage in a chapter 13. Thus, the means test is used by the courts to determine eligibility for Chapter 7 or Chapter 13 bankruptcy. Generally, in a Chapter 7 bankruptcy, unsecured debts are normally discharged in full and a debtor entitled to a fresh start. In a Chapter 13, however, the debtor typically pays back a portion of the debt over a 3-5 year period. For an over median income debtor a five year or 60 month plan is typical. Prior to the "Bankruptcy Abuse Prevention and Consumer Protection Act of 2005," chapter 13 was most frequently used to save a house or protect equity in other property because the equity was over the debtor's exemptions. 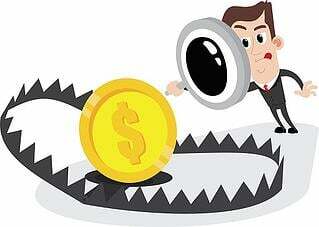 Now, the new rules may force a person into a chapter 13 even if they do not have equity to save. The first step in the analysis under the new law is to look at the debtor's household income and compare it to the median income levels in that area. You look to the debtor's prior 6 month income before the filing of the bankruptcy and double it. For example, the median annual income for a single wage-earner in New Jersey is $60,317. Below is the most current chart on median income levels for the different states in bankruptcy cases depending on family size. This chart is for all cases filed after November 15, 2013. If the income is below the median income level for that state, then Chapter 7 bankruptcy remains open as an option and there is really no need to get into means testing at all. If the income exceeds the median, the remaining part of the means test comes into play. This is where the analysis gets more difficult. You have to take living expenses for the particular region and subtract from the income of the debtor. If there is money left over you multiply that number by 60 months and this is what the debtor must pay to creditors. This may be a lower percentage or 100% to unsecured creditors. It depends what money is left over after this analysis. Keep in mind that the figures that you can deduct are found in the IRS guidelines. Certain deductions, such as the exact amount of mortgage payments or other certain expenses, can be deducted regardless of the IRS guidelines. If there is still nothing left over after conducting the means test, the debtor is still eligible for a chapter 7 bankruptcy and able to wipe out there debt. A big problem that we encounter is that many people have higher expenses than the allowed expenses under the IRS guidelines that are used with the means test. Thus, a debtor may not qualify for a chapter 7, but really may not have the money to pay into a chapter 13. Our experience is that this occurrence is rare, but it does happen. This is a serious glitch in the law that results in a hardship to persons deserving of relief. If more than half of the debt of a person is business or investment debt as opposed to consumer debt, the bankruptcy means test and median income level do not matter. There is no need to do the analysis. Keep in mind, however, that if your income exceeds your expenses by a lot that there is still a good faith analysis to determine the fairness in permitting a high income earner to just wipe out large amounts of unsecured debt. Contact one of our New Jersey bankruptcy lawyers in our law firm for a FREE consultation. We have conveniently located offices in Hoboken, Wayne and Hackensack and Newark, New Jersey.